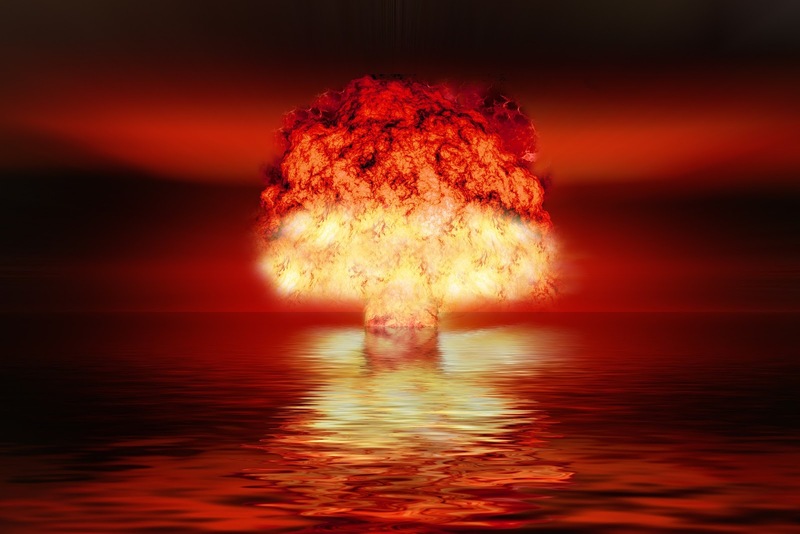 Ancient Nuclear War sounds very much like something out of a Sci-Fi novel. But is it possible that it really did happen? After all, how much do we really know about our past? To be honest, we really don’t know much beyond about 5,000 years ago. Recent discoveries, such as the vast network of Ancient Maya cities at Tikal prove as much. What we had previously thought to be a civilisation of just a few million could have well been amongst the most advanced Empires of its time. Not that the Maya as anything to do with this. This is simply to accentuate the fact that the remnants of an entire empire have been hidden just beneath the trees. Who knows what we would find buried underground – or underwater. In a previous article about Ancient Nuclear War, I gathered together various ancient texts that seem to be talking about the same thing. From the story of Atlantis, to the Mahabaratha, and the stories of Zeus and the Titans, these are just a few legends that speak of a 10-year war ensued against a sea-faring super power. At the end of the story, a “secret weapon” is unleashed, wiping the ocean power off the face of the planet. Whether or not there is truth behind those legends, we will likely never know for sure. But are there any remnants of a so-called Ancient Nuclear War that are still visible today? There are a few. Throughout various parts of the world, we can find so-called “glass seas.” These glass seas are formed when sand becomes hot enough to melt, boil, and fuse together. This requires reaching temperatures of at least 1,700 degrees Celsius – equal to that of an atomic bomb. 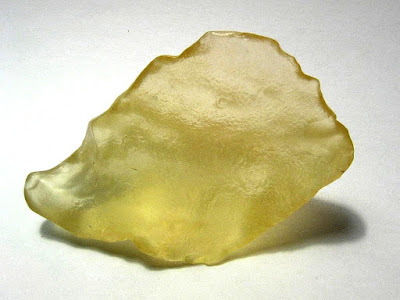 One of the most famous sites is the Libyan Desert Glass in the eastern Sahara Desert. Fragments of glass can be found buried in the sand across a vast area of tens of square kilometers. The same seas of glass can be in Meteor Crater in Arizona, as well as at the Trinity Nuclear airburst site in New Mexico. As you can see, there are two primary causes of these “glass seas”: a meteor, or a nuclear bomb. If the glass were caused by a meteor, the tell-tale sign would obviously be a crater. However, there is none. In 1972, a strange discovery was made from the Uranium deposit in Okla, Gabon. While processing the Uranium at a nuclear-fuel plant in France, there was a strange inconsistency. Typically, Uranium is found with three different isotopes, or three different atomic masses: Uranium 238, Uranium 234, and Uranium 235 – the last of which can sustain a nuclear chain reaction. In these samples from Gabon, the percentages of Uranium 235 were much lower than elsewhere on the Earth’s crust. That is to say, it appeared that some of the Uranium 235 was missing – but not just some. Roughly 200 kilograms, or enough to make half a dozen nuclear weapons. In other words, that Uranium from the deposit in Gabon had been mined already. The going explanation for this site in Gabon is that it is a naturally formed nuclear reactor that came into being by accident. Okay, so this point may or may not be that related, but there are several large ancient empires that simply ceased to exist. Though explanations are given as to why they disappeared, moved, or scattered to the far winds, often times there is no real proof. The great Indus Valley civilization or the Maya Empire, just to name a couple. Or what about other races or species, such as the “hobbit” homo floresienses. 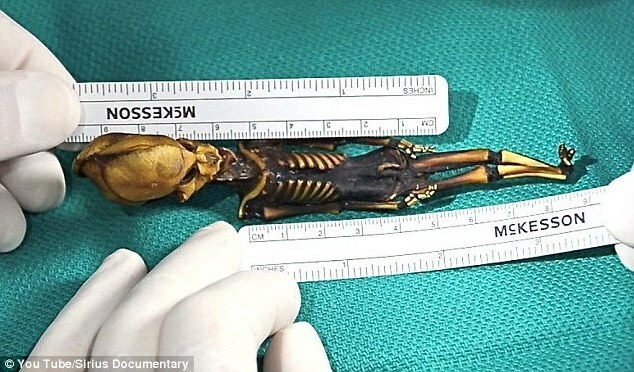 DNA tests on this strange finding have shown that it is Human. While it seems highly unbelievable that a civilization before us was capable of such technology, perhaps it is more unbelievable that in the 200,000 years since the evolution of homo sapiens or 2 million years since the first humans, that we would be the first ones to have come this far. Furthermore, we are consistently making discoveries that go completely contrary to everything that we think we know. Entire cities that were built during the time of “hunter-gatherers,” the proof of people travelling the world long before we think they should have been able to sail. While there may or may not have really been an “ancient nuclear war,” I think it is fairly clear that several civilisations have come before us. And what fate did they meet? I guess that is still for us to discover, or perhaps we will simply take the same route and become just another forgotten civilization.